Sport around Horley, Football, Tennis, Cricket, Martial Arts. Sponsor this page and have your ad here – contact us. Horley Cricket Club is based in Horley Row just opposite The Bull Public House. Located in Plough Road, Smallfield (opposite the Plough PH) we play two teams in the Mid Sussex League (to become the Sussex League from 2019), Sunday friendlies and mid-week T20 friendlies and have for the first time registered to play in the ‘Surrey Slam’ T20 league. We also participate in an indoor league during the winter months. So we have something for everybody. We have excellent facilities, with large changing rooms, our own bar and comfortable club area. New members, playing and non-playing, are always welcome. Horne Park Golf offers a delightful course situated in the heart of Surrey countryside. Our idyllic surrounds and full range of facilities, make Horne Park Golf a popular golfing destination in the region, even boasting visits from several top local professionals. Horne Park Golf Course website. 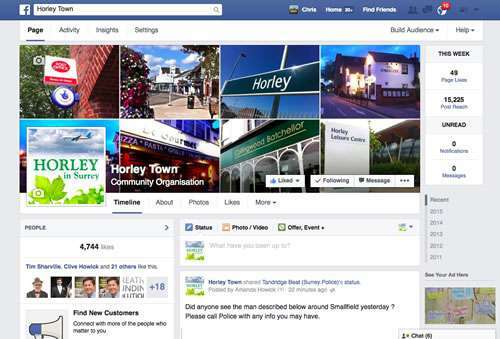 Horley Hockey Club is situated in Horley Row with the Cricket Club. Visit the Horley Hockey Club website. Athena Martial Arts. Horley Kickboxing Martial Arts School: Karate, Wing Chun Kung Fu & Insanity in Horley, Redhill, Reigate & Surrounding Areas. Based at Hookwood Memorial Hall, Withey Meadows, Horley, RH6 0AZ. Boxercise Julie Field a Boxercise instructor, Julie teaches classes in Horley and Reigate. Contact Julie on fitnessfields34@gmail.com or on Facebook Boxercise. Redhill Netball Club. Visit the Redhill Netball Club website. Reigate Netball Club. Visit the Reigate Netball Club website. Sonics Netball Club Redhill. Visit the Sonics Netball Club website. Horley Town Rugby Club are based with Horley Town Football Club at The New Defence, Court Lodge Road, Horley, behind the leisure centre. Community rugby club welcoming players and members of all ages. Function room available to hire for any occasion. Our ground is in the Court Lodge area of Horley. Our full address can be found on our Contacts page. The ground is situated to the rear of what was formerly Court Lodge Comprehensive, on Court Lodge Road. Access is through the Leisure Centre. A sign marks the entrance. The Club’s policy is to provide football for all in a safe and friendly environment. The Club welcomes children from under 6’s right through to senior’s and now have over 150 children playing in a selection of leagues in the Surrey/Sussex area. South Park Ladies FC are looking for some keen, ambitious and talented ladies to join their local football team. 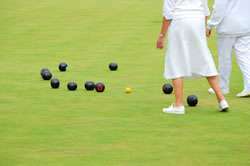 They play in the South East Counties Division 1 East League. South Park FC is based in Woodhatch, Reigate and are proud owners of some of the best facilities in the County. Crawley Wasps Ladies FC cater for girls from as young as seven, who are able to join our development squad, right through to ladies where they have both a first team and reserves. Founded in 1991, Crawley Wasps have been instrumental in the successful development of girls’ football in the Crawley area. We pride ourselves on playing good football in a fun, educational environment and prioritise the development of players above all else. All junior teams and the Ladies reserves play at Ewhurst Playing Fields, while the Ladies first team play home matches at Three Bridges FC. Open training sessions are now underway for all ages on Wednesday nights at Ewhurst. Please contact newplayer@crawleywasps.com for more information. Games are designed for all abilities & ages – the focus is FUN! Horley Lawn Tennis Club in Vicarage Lane holds free open days as well as junior summer camps. Whether you’re experienced, beginner, or just want to see what it’s like, why not drop in ? Horley Lawn Tennis Club was established in 1894 and is one of the oldest clubs in the county. It is is a friendly, sociable club with tennis sessions that suit all abilities and ages. All are welcome. Check out details on their website. If you spot any errors or sports clubs not included please use our contact form.